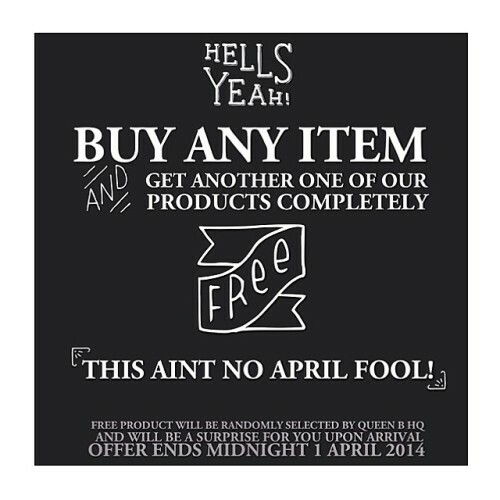 BUY ANY ITEM ONLINE BETWEEN NOW AND MIDNIGHT 1 APRIL 2014 & YOU WILL RECEIVE A SURPRISE GIFT! This gift will be a product from our website randomly selected by the team at Queen B HQ! Your prize may be anything from a 12 MONTH B-TOX TEA (valued at $140), to a 10 DAY GUILT-FREE HOT CACAO (valued at $16), or anything else! This is no April Fools’s prank! Get in quick!